To present general and detailed information about mobile wireless networks such as GSM, GPRS, UMTS, LTE, WIMAX and 5G. To present network architecture, protocols stack, radio access technology, signalling procedures. 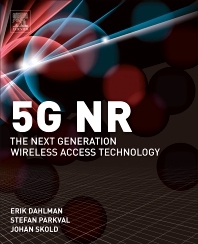 New book about 5G NR from Elsevier writtten by Ericsson researchers. Short video from Ericsson about LAA (License Assisted Access) that can be seen also as LTE - WiFi kind of cooperation. Marcin Mikuszewski. Powered by Blogger.